I like cans for three reasons. Firstly, being lazy, I like that they are lighter to carry than bottles. Secondly, based on personal experience, I’ve rarely tasted a bottled beer as fresh as canned Gamma Ray (I concede other factors may well be at play here). Lastly, and most importantly, you can drink them on public transport without drawing judgmental looks. This is especially important in London where that buffoon of a mayor banned drinking on public transport. Regarding the metallic taste issue, brewers would counter by referring to the lining (I can’t remember what it’s called) on the inside of the can that acts as a barrier between it and the beer. Thanks Peter – all good reasons to like cans… I just think they can co-exist with the many reasons to like bottles. 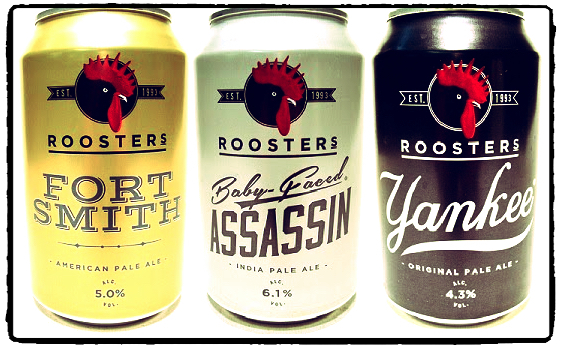 The can liners – yes, I know the brewers and the can makers say… but it’s in cans, with those liners (some of which contain low levels of Bisphenol A by the way), where I’ve still tasted the metal – only in steel, I hasten to add, but there all the same. I’m far from convinced that the job the can makers say is being done by the liner, is actually being done. Not that you’d taste the metal in a can of Gamma Ray, there’s a feisty one!! 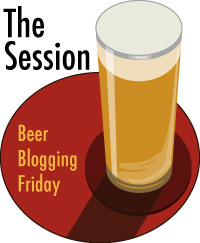 The League of Beer Strokers Unite!! It’s all irrational isn’t it. Great point! Consumers buy as they buy. It’s so hard to understand why. Thanks for participating in The Session! And not just sell it cheaper Nathan: as soon as you enter the same field of play, it becomes part of the game. Oftentimes, the Big Boys want to compete so they can affect a target’s valuation and buy them cheaper. We’ll see what transpires!! Holy moly… If they drive the price down for their competition, that means they’re competition is getting less revenue from each sale. Their whole brewery is making less money, is worth less money. Then the big guys don’t have to spend so much to buy ’em up. You’ve got it. Now, this isn’t supposed to be a doomsday scenario because at the end of day, the value is in the brand (despite what Michael Jackson would say), but it helps them all the same. Mind you, ABI are so big now, so cash rich that they can buy pretty much anyone whenever they want to – in fact regulators are their biggest threat. It’s interesting in the US that they are being allowed to buy stakes / or buy outright craft brewers when their market share is over 50%. In the UK that wouldn’t happen. Homer Simpson moment…d’oh! All sorted now – thanks for pointing it out.